Life2Moro – Have you checked your blood pressure lately? My name is Grahame, I have created this website to bring you information relating to High and Low blood pressure and other medical conditions, in a language that is easy to understand. The site also looks at how these conditions can have an impact on longevity and quality of life. The entire website could take you many hours to read. To register as a member, you need to create a username, password and email address. This home page explains more in the next paragraph. Once you become a member of this website, you will be able to make friends in the Public Chat Rooms - Use the Forum - Create your own Profile. You can read this entire website in more than 100 languages. More information about the benefits of becoming a member are explained in the section "Become a Member". 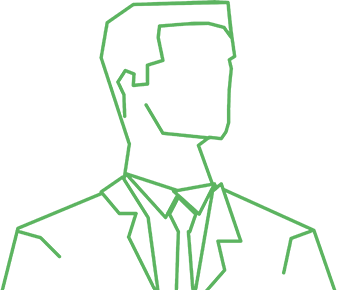 The Private Chat Rooms provide an opportunity to exchange information about your medical questions and experiences anonymously. Almost certainly there are other people globally who may have had similar conditions to you, and they may provide information to help you manage living with high or low blood pressure, and other minor non-life threatening conditions. This may avoid the need to visit a doctor or A&E. Please read important information about the Private Chat Rooms in the Members Section (38) before using the Private Chat Rooms. The information and facts on this website have been reviewed by Dr Azad Ghuran, a leading Cardiologist, whose profile is detailed below. Every month more information will be added to this website. It was through research and asking questions that I found it possible to manage Hypertension without totally relying on medication. I hope you will find this website helpful. I’ve been living with High Blood Pressure most of my adult life, as did my Father and my Grandmother. Over the past years I have read many articles and books, and in recent years researched the internet and successfully found ways to manage my Hypertension without relying totally on Blood Pressure medication. The more I researched, the more I realised there is a never-ending stream of information as medical and other advances are made, and I woke up one morning wanting to share the information I'd gathered over the past years about many conditions related to blood pressure. And so Life2Moro ® came about. I hope the information is useful to you as well. NOTE: The information you’re reading now is just the beginning, this home page covers lots of basic information, and there are another 10 separate sections you can also explore. Should you become a member of Life2Moro ®, there are currently a further 18 different subject areas in the Members Section providing information on how blood pressure relates to many health issues and conditions. Click here for a list of just some of the subjects covered in this website. Although this website is easier to read on a PC, it can also be viewed on tablet, laptop or mobile phone in virtually any language. 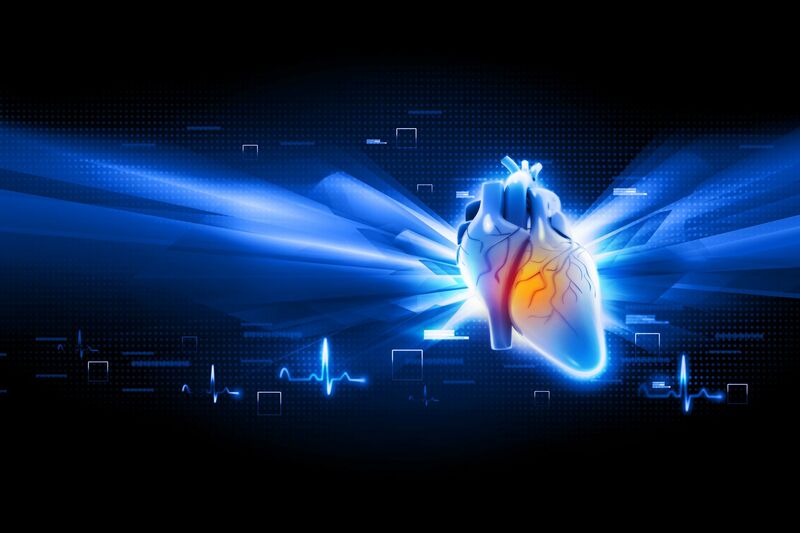 The information on this website has been reviewed by Dr Azad Ghuran a leading Cardiologist. General cardiology, coronary artery disease and intervention (angioplasty and stenting), pacemakers, valvular heart disease, syncope, hypertension, heart failure, palpitations and arrhythmia management. Dr Ghuran qualified from the University of Edinburgh in 1993 and completed his post graduate higher specialist training in general medicine and cardiology in hospitals including St George’s Hospital London, King’s College Hospital London and the Sussex Cardiac Centre in Brighton. He spent a year abroad as an interventional fellow at the Onze Lieve Vrouwe Gasthuis (OLVG) in Amsterdam where radial angioplasty was first performed and pioneered. Throughout his training, Dr Ghuran has worked with eminent European and world leaders in cardiology. He was awarded the degree of doctor of medicine (MD) in 2006 after completing his thesis under the aegis of a Wellcome Trust project grant. Dr Ghuran has published many articles in the field of cardiology including one book (Emergency Cardiology), five book chapters and many peer-reviewed articles. He has also reviewed articles for several foremost cardiology journals and has presented at conferences nationally and internationally in the field of cardiology. Dr Ghuran is a member of the British Cardiac Interventional Society, British Cardiac Society and Resuscitation Council (UK). The first number (120) is the force of your blood in the arteries when your heart is pumping, in medical terms this is referred to as the Systolic Pressure. The second number (80) is the pressure when your heart rests between pumping, this is referred to as the Diastolic Pressure. 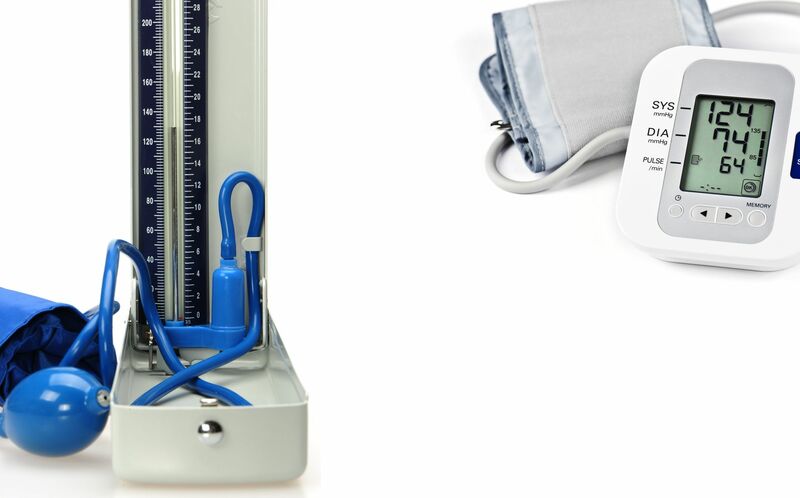 Sphygmomanometer - an instrument for measuring blood pressure, typically consisting of an inflatable rubber cuff which is applied to the arm and connected to a column of mercury next to a graduated scale, enabling the determination of systolic and diastolic blood pressure by increasing and gradually releasing the pressure in the cuff. Stethoscope - a medical instrument for listening to the action of someone's heart or breathing, typically having a small disc-shaped resonator that is placed against the chest, and two tubes connected to earpieces. The glass tube in the centre of the scale is filled with mercury. The doctor places a cuff around your upper arm, the cuff is inflated, stopping blood from pumping, and then as air is released at a moderate rate, the doctor listens with the stethoscope to hear when blood starts to flow. The blood pressure also moves the mercury up and down the glass tube, which also indicates the pressure on the adjoining scale. Some Health Professionals and Doctors now use an electronic device to take blood pressure readings. These electronic devices can be purchased for home use. Some models have memory capacity, allowing history of readings to be printed, which you can then show your own Doctor when you have a blood pressure check-up. If your blood pressure is 120 mmHg / 80 mmHg or lower you’re not considered to have high blood pressure. However, if your systolic blood pressure is in the range of 120 mmHg to 139 mmHg, and your diastolic reading is between 80 mmHg to 89 mmHg you’re said to be Pre-Hypertensive. If your systolic blood pressure is 140 mmHg to 159 mmHg and your diastolic is 90 mmHg to 99 mmHg you’re said to have Mild Hypertension. Hypertension - abnormally high blood pressure. If your systolic blood pressure is 160 mmHg or higher and your diastolic is 100 mmHg or higher, you’re said to have Moderate to Severe Hypertension. At the other end of the scale, if your blood pressure reading is less than 90 mmHg / 60 mmHg you have low blood pressure, known medically as Hypotension. Hypotension. - abnormally low blood pressure. Medical research has discovered high blood pressure can cause small lesions on the brain called “White Matter Hyper-intensities” (WMH). White matter hyperintensities (WMHs) - are lesions in the brain showing up as areas of increased brightness. These WMH have been cited by medical research as a possible connection with depression and dementia and the possibility of a stroke. You can read more about White Matter Hyper-intensities in the sections about stroke and the section on dementia. However, any concerns should always be discussed with your own doctor. Is there a connection between damaged cognitive functioning and high blood pressure? Damaged cognitive functioning, (this is the process by which you become aware, perceive, think, remember and comprehend ideas) has been recognised as having a possible connection to high blood pressure. Symptoms of reduced cognitive functioning include poor memory, a sedentary daily routine and possibly early onset dementia. These symptoms can be aggravated by smoking, being overweight, lack of exercise, poor diet and much more. One thing I know from personal experience, just losing weight and starting an exercise programme helped me lower my blood pressure. The good news is that some of the damage to your cognitive skills and abilities may be delayed or prevented with a change of lifestyle. 1) Primary Hypertension has been researched by the medical profession for many years. Blood pressure has been known to increase from a young age to adulthood, this is also referred to as Essential Hypertension, to date there’s no identifiable cause. 2) Secondary Hypertension can have many causes, you can read more about this in the section “Types of Hypertension”. Within the website I have detailed information that may cause high blood pressure, different types of blood pressure, and ideas and suggestions how you can improve your blood pressure. I have spent many months researching blood pressure and associated conditions. My next challenge is to write about Type 2 Diabetes (which in some cases can be reversed), and how this links to high blood pressure. The term “Silent Killer” has been used by Doctors for many years. High blood pressure can cause changes to your arteries, one of these is the build-up of plaque inside your arteries, the build-up doesn’t happen overnight, it can take weeks or even years before plaque becomes a problem. There are other conditions including blood clots that are covered in other sections of my website. Left untreated “Hypertension” will, amongst other problems, increase your risk of a heart attack, heart disease, damage to kidneys, a stroke, plus an increased risk of dementia and can even cause blindness. I have taken a long time putting together the information on this site and it is all here for you and your ease of access. I wanted to get all the information on High Blood Pressure that I have gathered over the years and put all in one place. Everyone is different, and although the information on this site has been checked by a leading doctor and Cardiologist, before you make any changes to your lifestyle, diet and medication...please consult your Doctor, General Practitioner, Health Professional, Medical Doctor or Physician first.